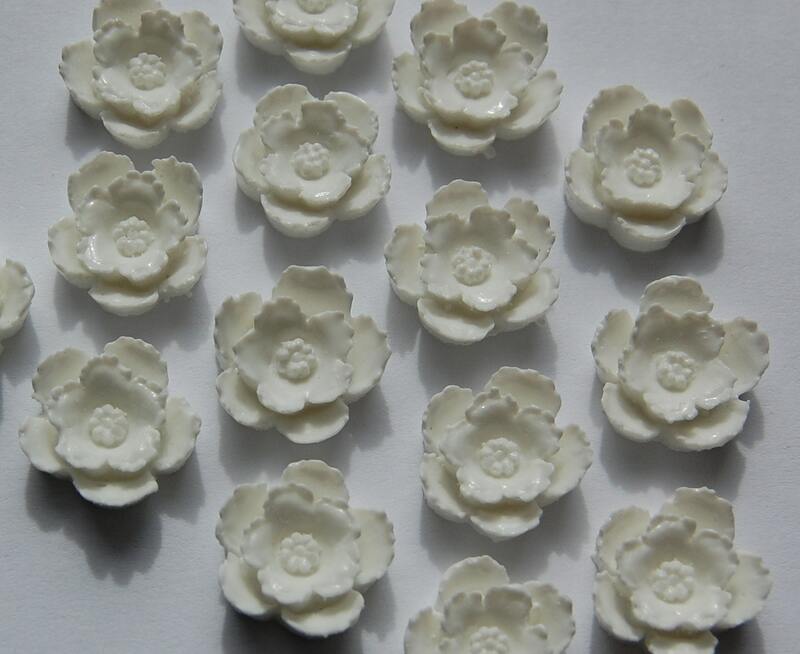 These are very pretty vintage style cabochons. 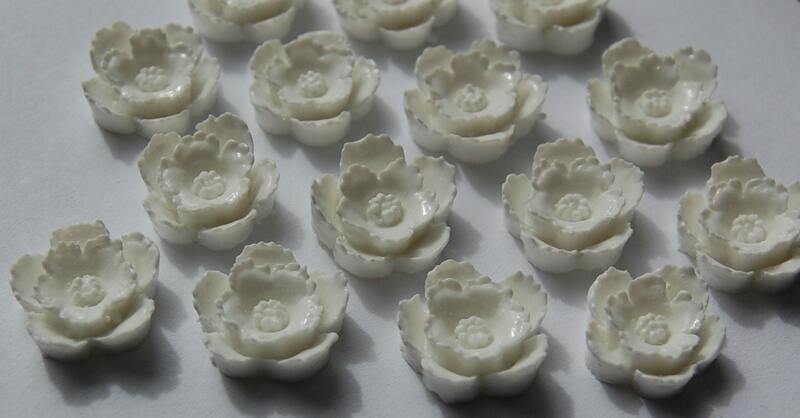 They are flowers that look as though they were carved. These cabs measure 14mm. You will receive 6 of them. Apologies for my late feedback... Grreat Seller! nFast shipping, cute wrapping, great supplies! n nThank you so much!